Vaarso Battlespeak Notation: According to Neebab numerologists, the duality of the double zero is manifested as the ambivalent deadliness of a double-edged blade when preceded by a two. However, when supplementing the seventy thousands–the unwavering will that rules the world–this blade stands out as a leader in the battlefield, a sword of command whose strength cannot be contested. Profile: How to hold at bay an unstoppable force like the Combined Army? Only by dint of that pragmatic intelligence which the military call ‘tactics’, which is nothing but the empirical application of strategy. Having a competent officer call the shots on the field is crucial to achieving victory. I know that, you know that and, of course, your enemies know that. This paints a huge target on your commanding officers’ backs: your forces can be decapitated by severing your brains by proxy on the zone of operations. That’s why your officers must be hardy to begin with, and why you need to do everything in your power to keep them safe. For the Tohaa Trident, this notion takes the form of Taqeul Officers. They are commissioned officers who displayed exceptional worth on the field and were admitted into the Traaves Special Command Academy. Graduates from that school receive intensive training in leadership skills, special operations, and frontline combat. They are habituated to acting far from the main force, in situations where they must rely on their own ingenuity and improvisational skills. 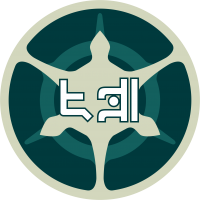 But even a stellar training program will not save you when you’ve been designated by the hostile forces as a priority target, so Taqeul Officers undergo intense biomod regimes to gain what amounts to regeneration, for that little extra survivability. In a combat scenario, they are also given a suite of deadly SymbioBugs, with whom they form a well-oiled killing machine in their own right.